In a surprise move, State Bank of India has put on sale its Rs 15,431-crore loan to Essar Steel in a bid to clean up its bal­a­nce sheet. It has set a reserve price of Rs 9,587 crore, which is a discount of 38 per cent. The resolution case of Essar Steel is pending in front of the Ahmedabad Bench of the National Company Law Tribunal (NCLT), which is slated to pronounce an order on January 31. SBI, the country’s largest bank, has decided to sell the loan in a full-cash deal. This is second time that SBI is putting Essar’s loan on sale. It had made a similar move in the first half of FY19. It dropped the plan due to improved visibility of the resolution. SBI expects to complete the sale in the January-March quarter of 2018-19 or FY19. The deadline for the e-bidding is January 30. The bank has sought an expression of interest from asset-reconstruction companies (ARCs), financial institutions, and other banks. Public sector bank executives said stakes involved in this case were quite high. So even after the NCLT gives its verdict, there might be more litigation. This could push any resolution to the next financial year (2019-20), aggravating the provisioning burden for lenders, alre­ady reeling from a non-performing assets (NPAs) crisis. This would have pro­mpted SBI to attempt to sell the Essar loan. SBI executives, who did not want to be named, said the amount realised from the sale would add to the bottom line and also release the prudential provision made for the steel company’s account. The immediate cash could be deployed for lending operations. Bank credit had grown by 15 per cent till the third quarter. 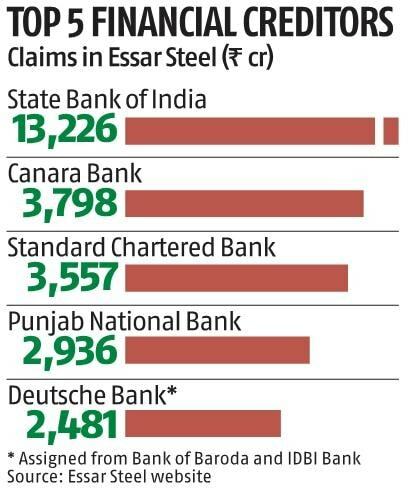 Essar Steel is part of the first list of 12 heavily indebted firms that the Reserve Bank of India in June 2017 asked banks to take to the NCLT for resolution. SBI has already made 70 per cent provisioning for accounts awaiting resolution in the NCLT. The bank, in a statement inviting bids, said the resolution plan had been approved and filed with the NCLT’s Ahmedabad Bench. According to the approved resolution plan of ArcelorMittal, minimum recovery to SBI would be Rs 11,313.42 crore. 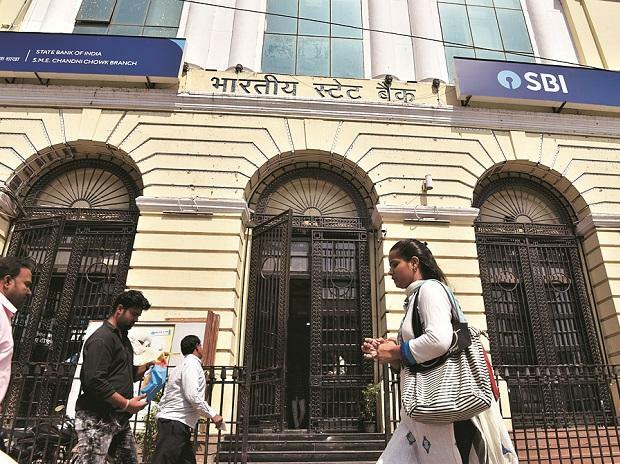 The reserve price SBI has quoted (Rs 9,587.64 crore) has been calculated on the basis of the net present value (NPV) of minimum recovery, with an 18 per cent discount and a time factor of a year. This means, in case, the minimum recovery amount is realised before a year, the buyer must offer a claw-back option to SBI. Commenting on claw back option, one top ARC executive said SBI expects the entity which buys the Essar exposure to share gains with the bank. Many more lenders, especially those in the public sector, lenders may follow suit, putting loans to Essar on the block as they want to augment earning this financial year. This strategy would benefit them in two ways — reduce provisioning as well as NPAs. On October 25 last year, ArcelorMittal’s resolution plan of Rs 42,000 crore was approved by 92 per cent of the committee of creditors (C-o-C). However, on the same day, Essar Steel Asia Holding had made the debt-settlement proposal of over Rs 54,000 crore. They also challenged the CoC’s approval of ArcelorMittal’s resolution plan, along with some operational creditors filing interlocutory applications against the CoC’s vote.